The third book in The Cleopatra's Legacy series will be out the end of October. For anyone who hasn't heard of this series it is a great middle-grade read that I love for its exciting mix of history, mythology/magic, and cool settings. It is a great series to help kids get interested in history and the rich heritage of places like New Orleans, Paris, etc. The series follows different young people and their discovery of artifacts left behind by the great Egyptian queen Cleopatra. Each artifact has a unique power that takes the characters on a fast-paced race to find answers and dodge seedy bad guys intent on claiming the powers for their own. 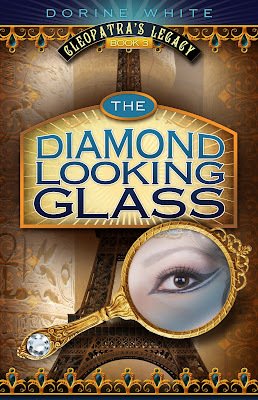 If you would like more information on the series check out Dorine White's website here. For now, enjoy this fabulous new cover.